STOCK IS LIMITED! ORDER NOW TO AVOID DISAPPOINTMENT! 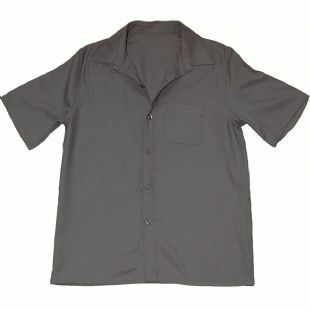 Innovative grey, short sleeved school shirt with pocket for ages 7-18. Made with comfort sewed-down seaming to minimise irritation. Designed for children with sensitivities, ideal for autism and SPD. 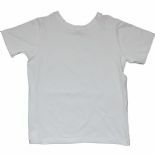 - Easy to pull on and off - only the top 3 buttons come undone! - Washing instructions inside pocket - no more itchy labels! Spectra Sensory Clothing is an innovative line of clothing designed by a clever mum for her daughter with autism! 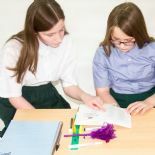 Tried and tested, these garments provide an ideal solution for kids who hate seams and labels, and who have trouble with fiddly fasteners. Please note, the grey shade is slightly lighter than that shown in the photo above. Whilst the seams have been carefully finished on these garments, these may not suit our most sensitive customers. If you have any queries about this product, just email sales@sensorysmart.co.uk and we will be happy to help.